I really liked the movie Big Hero 6. Before I saw the movie, I had no idea why the title was “Big Hero 6.” All I knew was that the movie had a Japanese named boy and a fat and white robot. You can get why the title is “Big Hero 6” and where the “6” come from at the very last scene, and it will be really stirring. 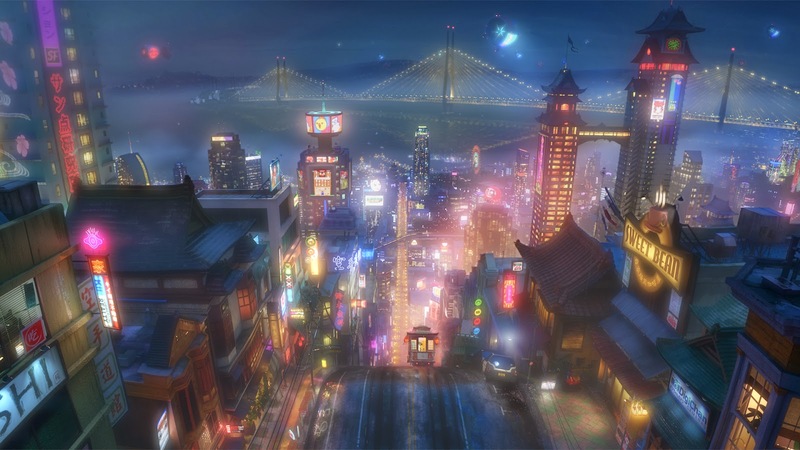 The movie’s home city was named “San Fransokyo” and was inspired from San Francisco and Tokyo. Since I’m Japanese, this movie’s Japanese elements reminded me of Japan. Some Japanese people would say the movie got Japanese culture wrong, but I think it’s not a big deal. I know that some of the Japanese cultural elements of this movie were wrong; for example, the funeral scene. Japanese funerals are usually held on funeral halls and a little bit different from what the movie showed. However, I’m so glad that my home country became a stage of a DISNEY movie, and even the hero has got a Japanese name,Hiro Hamada. I hope this movie makes people get to know Japan more. However, I thought the story of this movie was too serious for children. Death of one’s very dearest person, problems of a patent, dangerous machine’s being out of control and so forth are issues children shouldn’t watch. I believe it has too many sad matters. This is the only thing that could be better about this movie. The action scene was really good. The movement of characters was really fast but was really clear as well, and it was like I was watching a MARVEL film. When I hear “Disney movie”, I imagine princess-related fairy tales, but it was completely different. I believe this movie built a new frontier on Disney’s animated movie.